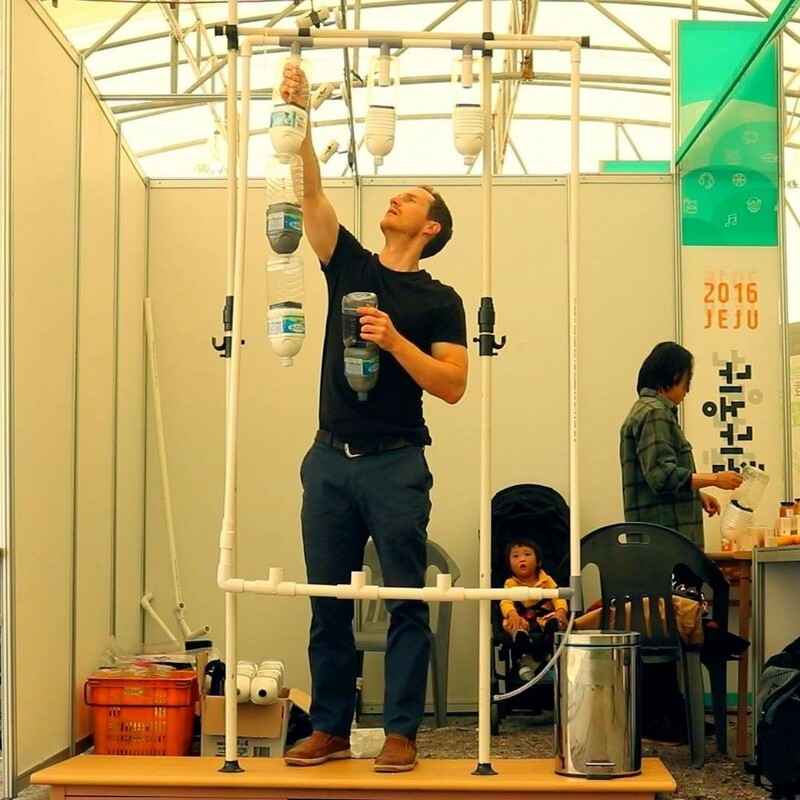 One environmentalist and filmmaker’s passion to help people get closer to real food through hydroponics.Eric Sweet turns used Jeju Samdasoo plastic bottles into an innovative opportunity. Eric Sweet is a man on a mission to help us all waste less. His philosophy is that by creating and adding more value to the products we use every day, rather than simply focusing on reducing waste, a reduction in waste will follow automatically. He said in 2016 at the 2nd Dolkorom community talk where Jeju residents met to discuss environmental issues “I think it’s important to show people a better way, or another opportunity that exists for so many things that they own.” According to his theory, waste isn’t just created when something is thrown away, but in fact, it is created as soon as something is designed without a way to recycle, upcycle or downcycle it after its original use is finished. Eric believes that the less purpose we have in our products, our jobs, or our lives, the more waste we will create. Eric has spent time building schools out of trash in the mountains of Guatemala, working on biogas development in Vietnam, helping aboriginals in Australia and Burmese refugees in northern Thailand. His experiences give him a unique view on the importance of culture and his filmmaking looks to inspire a new way to see the world. 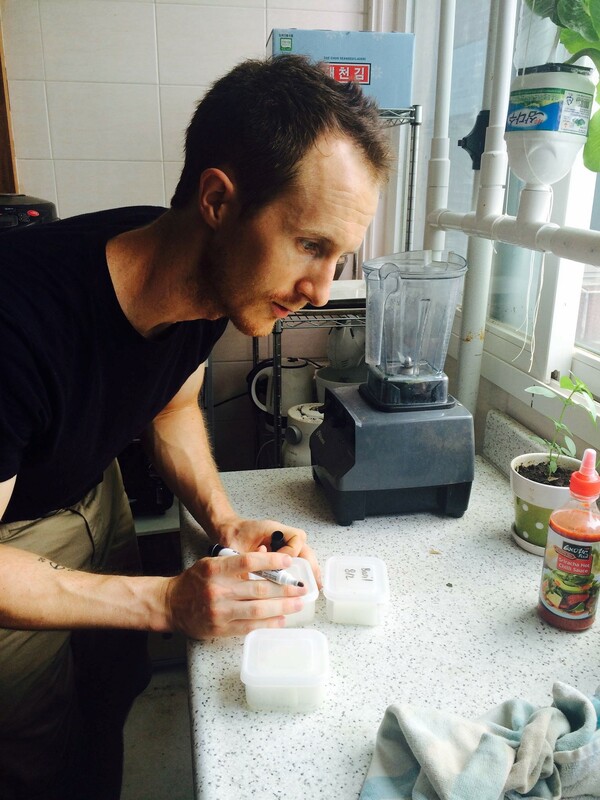 His passion today is to help people get closer to real food through hydroponics.